Even though the detox stage of recovery isn’t a pleasant experience, it should not be enough to deter someone suffering from addiction from seeking help. Many rehab facilities offer drug detox programs to make the process of withdrawal as easy as possible. Most drug treatment centers will offer some type of medical evaluation before coming up with a proper plan to help a person overcome his or her addiction. A medical evaluation is a process of determining the cause of medical problem whether it be mental or physiological. After the completion of a medical assessment, the staff at a treatment center will be more informed about your conditions and can help provide information about the best course of action to take to best help you with your road to recovery. 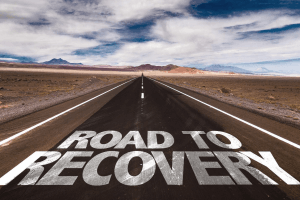 There are many different types of drug detox programs can be recommended by a health care provider, such as standard inpatient drug detox, which is best for individuals who feel that inpatient services might be the best step to take. Drug detox programs at treatment facilities can monitor a patient’s health and wellbeing and also supply proper medication to patients to make this initial stage go as smoothly as possible. Sub-Acute detox treatment not only offers medical services for the treatment of withdrawal symptoms but also peer as well as emotional support. Sub-Acute detox programs are generally geared for people who suffer from withdrawal symptoms that are blatant enough that they require 24-hour attention, however, they might not be severe enough that hospitalization would be necessary. One grave mistake that people suffering from addiction might make, when it comes to treatment is thinking that they can handle the detox stage on their own, without the supervision of medical experts. This can be a very dangerous route to take. Depending on the substance that is being consumed, along with the amount of that said substance is used, it could be extremely dangerous and in some cases even fatal to try to detox on your own. The fear of undergoing detox should not be enough to stop someone from getting help. Once you seek the services of a drug treatment center you will learn that there are other people who, have successfully completed detox and are working their way towards a happy and healthier life after addiction. Group therapy sessions can be a great place for people to realize that they are not alone and there are other people out there who were also brave enough to undergo drug detox and begin their road to recovery. Drug detox isn’t the end of the world, and under the care, if medical professionals could be over before you know it. Once you start to separate yourself from your addiction, you will realize that there is nothing else stopping you from taking control of your life again.